Square-Enix's Yoshinori Kitase finds Kinect and Move to be awkward for RPG control. Microsoft's Kinect and Sony's PlayStation Move might work great for certain types of games, but Final Fantasy and Kingdom Hearts producer Yoshinori Kitase doesn't think they include RPGs. Speaking to Eurogamer, Kitase said that he finds the devices "awkward" when it comes to games like Final Fantasy XIII. He didn't say if Square-Enix tested either Kinect or Move, but seemed convinced that they wouldn't stand the test of time over a lengthy RPG. Of motion control, Kitase said: "It is quite awkward, particularly for example in Final Fantasy XIII, which came out last March in Europe. 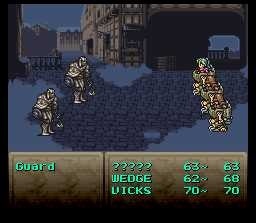 That kind of interface is quite difficult to be included in the RPG." For "gun shooter" games like the upcoming 3rd Birthday, Kitase's PSP Parasite Eve spin-off, he thinks motion control is more suited and he says it could become "handy." But he apparently has no plans on implementing any sort of Move of Kinect support for JRPG-style titles. "The main difference between shooting games and RPGs - obviously there are some - but shooting games probably amount to up to 10 to 15 hours of gameplay," Kitase said. "But an RPG, you have to improve your character, fight and fight and fight, and then the ending, and then more to play with, that could be 40 to 50 hours ... That kind of technique might not fit so well with a very continuous title that requires long gameplay." He thinks that if motion control is implemented in future titles, say Final Fantasy XV, it could be used for mini-games to "give them additional spice." I know I definitely wouldn't want to play an 80-hour RPG that required me to stand up and kick slimes to death over and over. It'd be a pretty good workout when grinding up levels, but would get tiring after a few dozen battles.